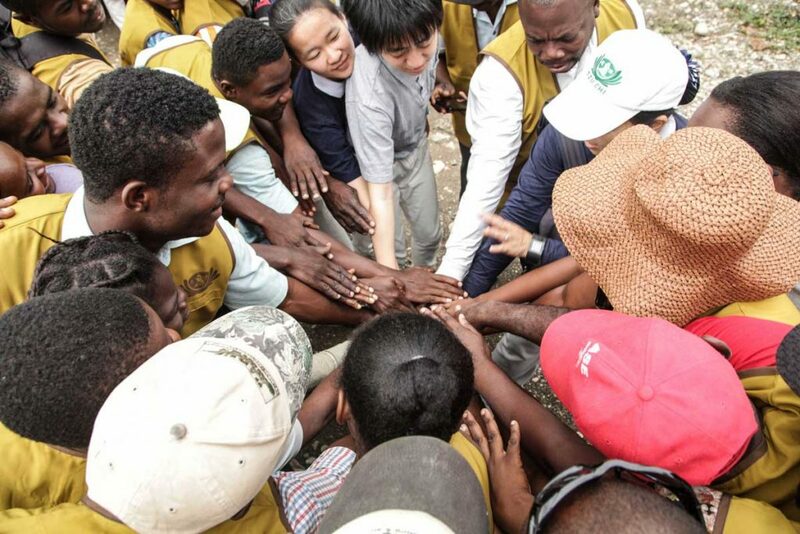 When a disaster upends a community, the fact remains that no single organization or entity can fully take on the burden of expenses a family must then carry. But, when non-governmental organizations join hands with peers and government agencies, possibilities all point to progress. This could not have been more true in the case of Tzu Chi USA’s Camp Fire relief efforts. To date, the Hope Heals campaign has offered financial assistance to 8,492 families. But, that was not without the facilitation and support from organizations outside our own. 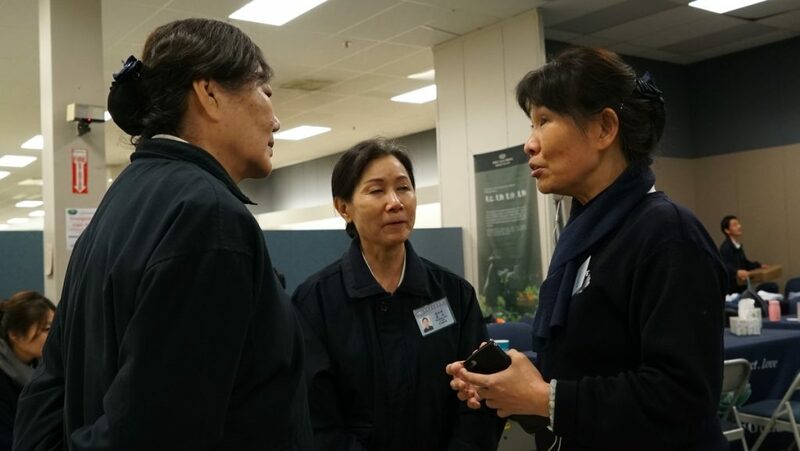 Grace Chen, a longtime volunteer and Tzu Chi Northwest Emergency Relief Team Leader, said she and her team was having a regular quarterly meeting with the CEO and core members of Northern California’s Coastal Region Red Cross on November 8th. She remarked how she’d felt hopeful that by then there would be no more wildfires that year, given they’d been so busy with wildfire recovery cases from July’s Carr Fire. But, by that same afternoon, the Camp Fire had already burned Paradise, California, to the ground. The next day, Grace says, “ we already put together blankets from San Jose by 5 PM with 2 cargo vans.” The vans carried 550 blankets, but because of traffic, the three hour drive from San Jose took six hours to reach three shelters in Chico. The next morning on November 10, a group of ten volunteers drove up to provide even more blankets. Within two hours, another 500 blankets were completely gone. “People loved it so much,” Grace says. Within a short time, there were already seven shelters. Volunteers made the rounds to check in with evacuees and offer emotional comfort. Grace was ready for what was next. Since the past few disasters in the past few years, we [FEMA, the American Red Cross, and the California Governor’s Office of Emergency Services] started to work together, so we became friends. As soon as we were aware that a disaster recovery center would be set up, I already knew who I should meet. 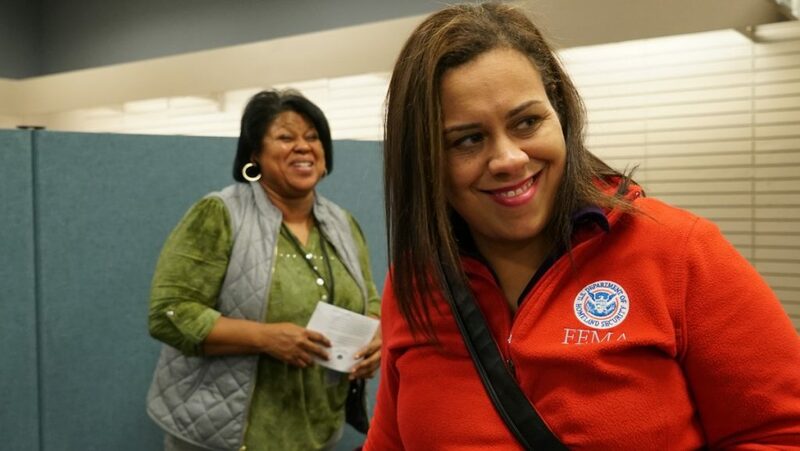 Recognition and strong bonds came in handy, too, when it came to working with FEMA. 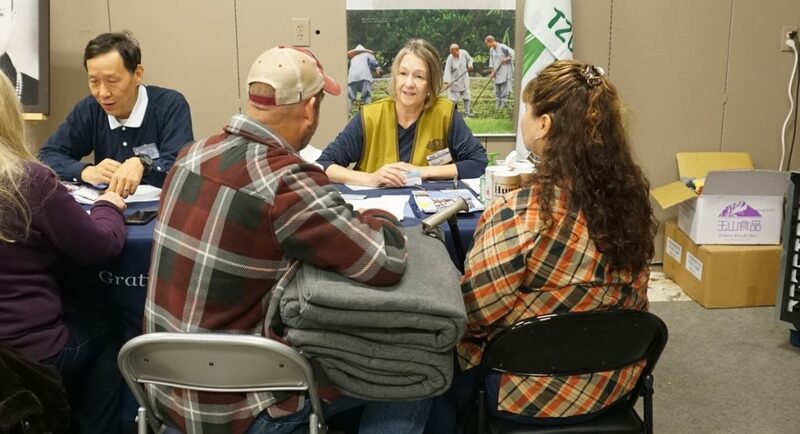 Jovanna Garcia, a FEMA Public Information Officer, worked closely with Grace in many aspects pertaining to Tzu Chi USA’s presence at the Chico DRC- most notably in helping spread the word. “One of the things [FEMA tries] to do first is identify the local organizations that are in the area that are better suited to help the survivors… We make sure we let people know through our media that these are the resources available for them here,” Jovanna asserts. That included helping Grace put together a press conference to invite more families affected by the Camp Fire to receive a Tzu Chi cash card ranging from $500-$800. 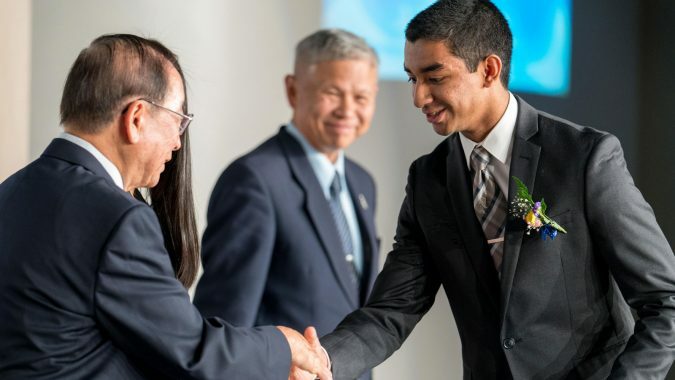 Still, having a good relationship with agency and office representatives does not mean all doors magically open for Tzu Chi. “We understand their job comes first, sometimes, their hands are tied, but they still try to work with us. I see it as an opportunity to let me learn how to work with them,” Grace optimistically declares. That positivity is something Jovanna reflects. 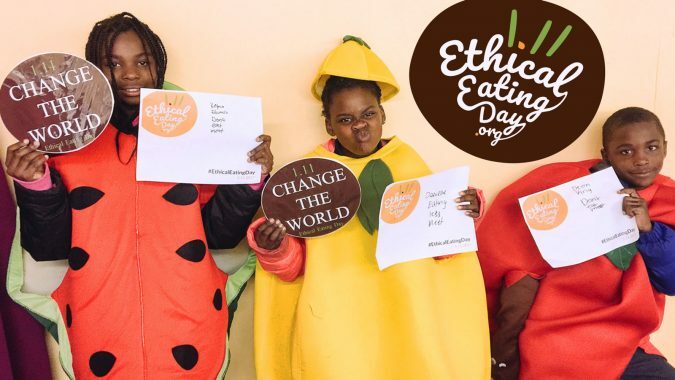 The right attitude is really being available, being open, and flexible to be able to make sure that our final mission is supporting the community in their community efforts. 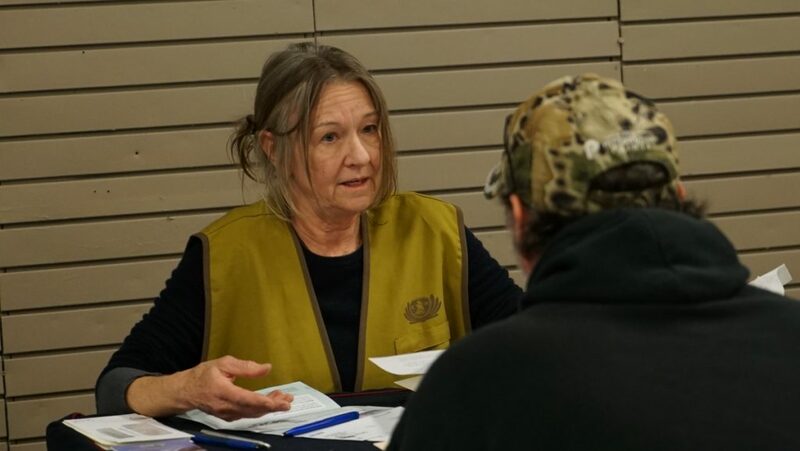 As relief efforts end its emergency phase, Grace notes that Tzu Chi USA’s success, long after the Camp Fire is over, will rely on great part on the help of local volunteers, like Bobbi Rae Jones and Elizabeth Kuiper. Both women, based in Chico, have their own jobs but come in their spare time to the DRC. “It’s kind of nice to be able to share my talents to help,” shares Elizabeth, a print shop owner in Chico. She helped print posters informing families they could receive aid from Tzu Chi USA at the DRC, along with pre-registration info. Elizabeth has had such a positive experience that she and Grace have already discussed the possibility of a new Tzu Chi chapter in Chico. I'm dealing on the one hand with people who are traumatized and need empathy and love. 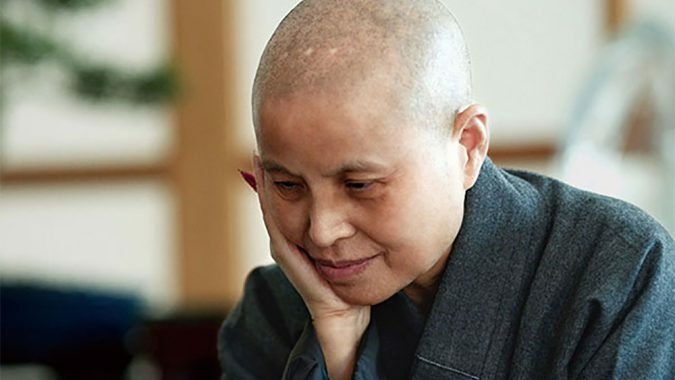 And then, I'm surrounded by people [Tzu Chi volunteers] who are loving and empathetic people… and so it heals me to be around them. You, too, can join hands with us as we work hard to bring compassion and relief who need it most, and do whatever it takes to get us there.